Have you longed for thick, gorgeous hair? Make it yours with this ready-to-wear short hair wig from Envy. It’s soft, touchable and comfortable. So well-fitted, the only thing anyone else will notice is hair they envy. With hand-tied strands and invisible construction, this Envy™ wig can be styled any way you want. 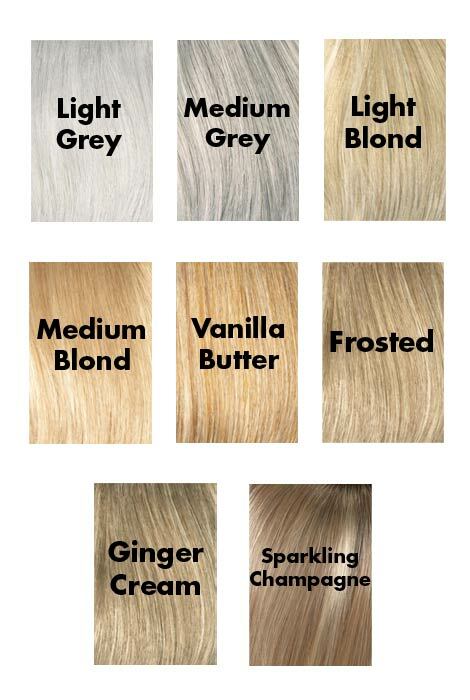 Choose from 25 colors to get the look and style you’ve always desired. Envy™ wig Micki style offers spunky, textured style with soft layering and razor soft, flipped out edges. Style it back or off to the side to create your own unique style with a natural hairline unsurpassed in lace front workmanship. Lace front technology and mono top construction complete this lightweight funky fashion statement. Please note: Envy™ wig may be returned only if it has not been washed, styled or cut. Fill your sink or basin with cool water so that you completely submerge your wig. Mix in a small amount of shampoo for synthetic hair. Soak your wig for 3-5 minutes. Gently agitate without rubbing the fibers together as this can cause frizzing or tangling of the synthetic fibers. Love the style and the fullness. The style of the wig is most attractive . Additionally, it looks as if it is easy to maintain. I liked the style and have ordered other products from the company. I like the style and this color is very close my nature hair color. Can you show the wig in any selected color on the page? BEST ANSWER: Thank you for your question. We are unable to show exactly what each color looks like for the wig but there are pictures of each color. We hope this information will be of help to you. what color is this wig? BEST ANSWER: Thank you for your question. The color of the wig shown in the photo above is Dark Blonde. We hope this helps. is the cap a tight knit or does it stretch? BEST ANSWER: Thank you for your question. The wig has two adjustable elastic bands to adjust to fit. We hope this information will be of help to you. Yes I'm sure they stretch. They would have to to get them on. But how much? Wore wigs before and they were like a HAT. Just curious how tight they are. That's all. Is this real hair or synthetic? BEST ANSWER: Thank you for your question. The wig is synthetic. We hope this information will be of help to you. BEST ANSWER: Thank you for your question. The Micki is a Synthetic wig. We hope this information will be of help to you. what color is the model wearing the micki wig? BEST ANSWER: Thank you for your question. 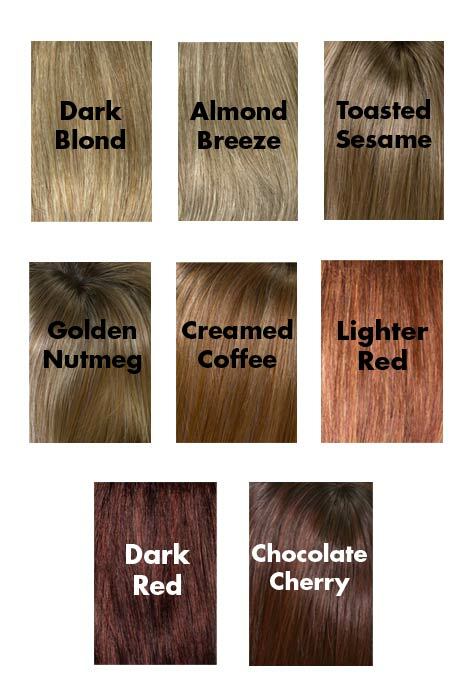 Dark Blonde is the color in photo online.We hope this information will be of help to you. Is Toasted Sesame lighter or darker than the swatch on the computer? BEST ANSWER: Thank you for your question. The Toasted Sesame is a little lighter than shown in the picture. We hope this information will be of help to you. BEST ANSWER: Thank you for your question. We do not suggest to color the has as the chemicals in the dye will ware away the hold. It also can not be returned after changes have been made. We hope this information will be of help to you. 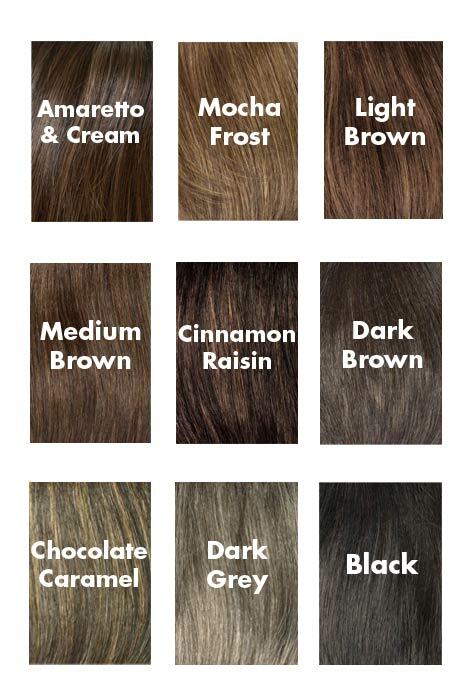 How true to color are the color swatches on you internet page to the real color of the hair on the wig? Can you send me samples to chose from? BEST ANSWER: Thank you for your question. The color of the wig is pretty close to the color swatches shown on the website. The colors may vary a little. We are unable to sent samples of the colors out. We hope this information will be of help to you. can you use hair spray on these wigs. can you tease or back comb thes wigs? BEST ANSWER: Thank you for your question. Yes, this wig can be styled any way you want with any product you would like to use. We hope this information will be of help to you.